TOTAL Cost of course uncluding VAT and Examination Fee is: £1300.00 + VAT (exam fees extra at £110.00 no VAT). Location of course is Stamford, Lincolnshire. The NEBOSH International Certificate is based on the National General Certificate, which focused on health and safety compliance within the United Kingdom legal framework. With the worldwide success of the NGC, NEBOSH saw a need to develop an international qualification, which would provide a broad introduction to health and safety in line with International Labour Organisation (ILO OSH 2001) standards. The key difference between the United Kingdom National General Certificate and the International Certificate is the applicability of legal requirements. Although the International Certificate does not contain law, it does focus on local country laws and cultural factors where necessary and relevant. The principles involved in achieving health and safety requirements are the same regardless of geographical location and legal compliance, making the International Certificate the perfect general qualification wherever in the world it is taken. The course aims to provide those making day-to-day health and safety decisions with a broad knowledge of health and safety to ensure that the right decisions are made in the correct circumstances. It also enables the delegate to manage health and safety in an efficient and effective way in line with the principles of health and safety management systems, such as HS (G) 65, OSHA, OHSAS 18001 and BS8800. Delegates will gain a wide understanding of risk management and the common hazards faced in workplaces throughout the world. The NEBOSH International General Certificate is aimed at anyone who has an interest in health and safety. Our delegates come from all backgrounds and professions. The NEBOSH course is frequently attended by Managers and Supervisors with specific responsibility for managing and coordinating health and safety in the workplace. The NEBOSH certificate is also suitable for other professionals, such as engineers, architects, designers and scientists. As health and safety embraces all disciplines - finance, insurance, health, personnel, production, design, purchase and information technology. Everyone can benefit from the NEBOSH National General Certificate course. There are no specific barriers, in terms of academic qualification or skills, to undertake the NEBOSH International General Certificate course. However it should be noted that the examinations are offered, and must be answered, in English only. While candidates may not have English as a first language, a good understanding of English (including some relevant technical vocabulary) is a general requirement to study the course and sit the examination. There are no formal entry requirements to the NEBOSH International General Certificate but it should be noted that the examination includes a requirement to write a short report. Although this is covered as part of the NEBOSH course. Candidates should be conversant with the main requirements of recognised international standards as they apply generally to the workplace. An extremely useful source of reference in this respect is the "ILO Encyclopaedia of Occupational Health and Safety" (4th edition, ISBN 92-2-109203-8), although this is too voluminous to recommend as a course text. The Encyclopaedia can be accessed free of charge at http://www.ilocis.org/en/contilo.html United Kingdom HSC Approved Codes of Practice and HSE guidance publications, as well as many US OSHA publications (e.g. the OSHA Manual), may also provide a good guide for candidates. 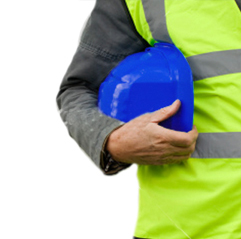 However many people attend our NEBOSH courses without a detailed knowledge of health and safety. Enthusiasm and a willingness to work hard are as important as any prior knowledge. Identify common hazards in the workplace and advise on appropriate remedial action. Understand the foundations and frameworks for regulation of health and safety, including international standards and conventions such as ISO and ILO. Advise on appropriate action to minimise fire risk and develop fire procedures. Assist in preparation, review and monitoring of safety policy and procedures including proactive and reactive strategies, training audits and safety committees. Investigate accidents, and other incidents, prepare reports making cost effective proposals to prevent recurrence. Identify main requirements of legislation and codes of practice. Maintain records and information sources to advise management. 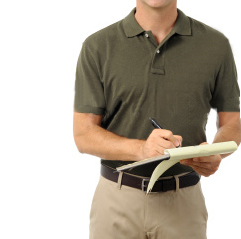 Communicate effectively on health and safety matters including the use of reports. 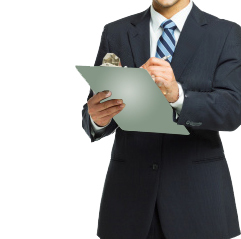 Undertake effective workplace inspections and recommend cost effective remedial action. Describe human and organisational factors affecting health and safety performance assessment e.g. health & safety culture. Written examinations take place on the 5th day of the course, the practical examination GC3 is undertaken in your own time after the course and submitted for marking around 7 days after the written examinations. The GC3 practical can be undertaken electronically and a MS word template is provided. The NEBOSH International Certificate is accepted by IOSH - the Institution of Occupational Safety and Health - in meeting the academic requirements for Technician Membership of IOSH (Tech IOSH). It is also accepted by The International Institute of Risk and Safety Management (IIRSM) for associate membership. Oracle Safety Associates present this course as an ‘open course’ and in-company package. Please contact us for ’in house’ course prices.